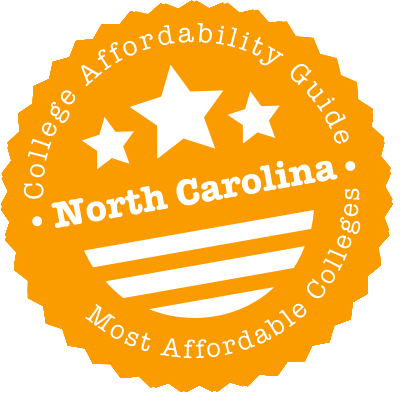 Scroll down to see our top-ranked colleges in North Carolina, loans and scholarships for North Carolina students, and advice on how to save money going to college in North Carolina. Established in 1789 as the country's first public university, the University of North Carolina at Chapel Hill is a world-class institution, with students coming from every state and from over 100 countries. Qualified freshmen are automatically considered for the following programs: Carolina Scholars, Pogue Scholars and the Colonel Robinson Scholars. All these scholarships offer North Carolina residents $9,000 each year, while out-of-state students receive the equivalent of tuition, room and board, and fees. The Johnston Scholarship Program considers qualified freshmen with financial need, and awards annual scholarships that cover the recipients' full demonstrated need. The Moorehead-Cain Scholarship and the Robertson Scholars Leadership Program cover full tuition and fees, as well as room and board, and offer various enrichment opportunities. Founded in 1899 as a teacher's college, Appalachian State University in Boone, North Carolina is now a liberal arts college with over 150 graduate and undergraduate majors. Because of its affordable tuition rates and comprehensive financial aid, Appalachian State University has been named as one of Forbes magazine's 100 Best College Buys and Kiplinger's Personal Finance magazine's Best Values in Public Colleges in recent years. Institutional grant or scholarship aid is offered to 34% of beginning undergraduate students, and Pell Grants are offered to 26% of all undergraduates. The university offers a wide variety of both merit and need-based institutional scholarships. Freshman can apply for seven different institutional scholarships, while continuing students are encouraged to apply for scholarships through their academic departments. With more than 33,000 students, 100-plus undergraduate majors, and an endowment that tops $1 billion, North Carolina State University is big in every sense of the word. The university ranked No. 46 in the 2018 U.S. News Best Value Schools list, which noted that 41 percent of students receive need-based grants. Each college within NC State has a range of scholarships with differing qualifying criteria to help students cover costs. NC State administers federal Pell and state grants such as the Educational Lottery Scholarships that are awarded based on need. As a large research university, NC State has funding for graduate student research fellowships, plus grants, teaching assistantships, and travel funds to help graduate students pay for their education. A 124-year old institution, the University of North Carolina at Greensboro offers its student population the choice of more than 100 undergraduate academic programs and over 60 graduate degree programs. The university's Blue & Gold Scholarships support incoming freshmen who have outstanding academic credentials and strong leadership qualities. There are approximately 30 scholarships awarded every year. Amounts range from $1,500 to full tuition coverage, including fees and room and board. In addition to numerous scholarships awarded by different academic departments and offices, the UNC Financial Aid Office administers 139 need-based scholarships on behalf of generous donors and friends of the university. Founded in 1946 to meet the increasing educational demands of returning World War II veterans, the University of North Carolina at Charlotte is a modern research university known for its interdisciplinary programs and wide-ranging opportunities for student research. For freshmen with excellent academic records, the Levine Scholars Program awards full tuition, room and board, and a grant for recipients to implement a service project of their own design ($90,000 for each in-state recipient and $140,000 for each out-of-state student). Incoming freshmen who graduated from a North Carolina high school who can demonstrate financial need may be eligible for the Jason Bonsall Promising Potential Scholarship. First-generation college students are encouraged to apply for the Jennie B. and Charles E. Latham Scholarship. The Western Carolina University, established in 1889 to provide higher education opportunities to the western region of the state, now boasts of providing world-class education to more than 10,000 students from 48 states and 35 countries. Education majors who are also the first in their family to attend college may be eligible for the Linda Jones Hudson Gilbert Scholarship. Adult students who are returning to college to complete their degrees can apply for the Gail-Patricia Greer Scholarship. Preference is given to female students. The Albert Dudley Brewer Scholarship supports students who are deaf or hard of hearing, while the Kendal King Memorial Scholarship and the International Scholarship considers high-achieving international students who have been admitted to WCU. East Carolina University in Greensville, North Carolina was founded in 1907 as a teacher's college, but today offers more than 100 bachelor's degree programs, 85 master's degree programs and 21 doctoral programs. The university's most prestigious scholarship program is the EC Scholars Program, which provides academically excellent students with merit-based awards of $10,000 per year for four-years and a $5,000 study abroad stipend. The school's Honor College Scholarship is another merit-based award that provides scholarships in the amount of in-state tuition for up to four-years. ECU also offers an institutional grant called the East Carolina University Grant, which is awarded to full-time undergraduate students with an expected family contribution between $0 and $10,000. Students enrolled at the University of North Carolina Wilmington have the option of pursuing one of 55 bachelor's, 42 master's and 2 doctoral degrees. Outstanding freshmen may be eligible for the SOAR Ambassador Program, which covers the cost of UNCW tuition, fees, books, housing and meals. Business majors may be considered for the Wade Stanley Honors Scholarship ($2,500 per year). Graduates from South Brunswick High School can apply for the Bald Head Island Limited Scholarship Program ($3,000 per year). The following are some of the Alumni Association Scholarships for which qualified freshmen are considered: General Shinn UNCW Alumni Association Merit Scholarship, Hugh Henry Fox UNCW Alumni Association Scholarship, and the Mary Catherine, Susan & Elizabeth James Alumni Association Scholarship. UNC School of the Arts hopes to give students of all financial means a chance to practice what they love. Awards like the Kenan Excellence Scholarship help - it provides full tuition and room and board for three new students each year. Though that award is based on merit, others are based on financial situation, such as the Love, Suther and Dickson Scholarships. And the University of North Carolina Need Based Grant is worth up to $4,200 a year. Nearly a dozen UNCSA students and recent graduates receive a paid, school-sponsored fellowship each year at the Kennedy Center for the Performing Arts in D.C. or Lincoln Center Education in New York. Established in 1927 as Buncombe County Junior College, the University of North Carolina in Asheville joined the University of North Carolina system in 1969, and is now a ranking public liberal arts university conferring BA, BS and BFA degrees in over 30 majors. More than 68 percent of students in UNC Asheville receive some type of financial assistance, and more than 73 percent of students' needs are met by their financial aid package. The University of North Carolina Asheville Tuition Grant is a need-based award, granting up to $2,000 each year for in-state residents and $4,000 each year for out-of-state students. Laurels Scholarships are given to entering freshmen with excellent academic records. Qualified first-year students are automatically considered for academic scholarships with award amounts of up to $25,000 each year. Ninety-eight percent of freshmen with demonstrable financial need receive financial aid, with the average first-year financial assistance package coming to just over $21,000. Students with a minor in economics can apply for the BB&T Scholars Program ($2,000/year). Female biology or chemistry majors with excellent academic backgrounds are considered for the GlaxoSmithKline Women in Science Scholars Program. The program awards two $1,000 scholarships annually and recipients are given the opportunity to conduct research during the summer with a GSK mentor. Wingate students who are also North Carolina residents can apply for the North Carolina Need-based Scholarship, which disburses yearly awards of up to $7,100. North Carolina is a great place to find an affordable college education. The University of North Carolina (UNC) system, which includes North Carolina State University (NCSU) and UNC-Chapel Hill, has a strong academic reputation. State financial aid is available for community colleges, UNC schools and private institutions. And many city organizations are keen to support low-income students with scholarships and college prep courses. Just be sure to file your FAFSA—a lot of state aid packages require income info from the federal form. North Carolina offers students the option to use a comprehensive articulation agreement between the North Carolina universities and community colleges. In this agreement, there is a Universal General Education Transfer Component as well as statewide guaranteed transfer of associate degrees. North Carolina also offers a helpful reverse transfer program. The Comprehensive Articulation Agreement offers the Universal General Education Transfer Component. This component is a set of 30 semester hours of courses that will meet some of the University of North Carolina lower division general education requirements and will transfer as well. Students with a North Carolina community college associate of arts or associate of science with a grade of C or better and an overall 2.0 GPA or higher will have guaranteed transfer of their degree. This grants students with junior status upon admission to a North Carolina university and at least 60 semester hours of academic credit. Additionally, the Comprehensive Articulation Agreement assures admission to one of the University of North Carolina’s 16 institutions. For students who have not yet earned an associate’s degree, the North Carolina Reverse Transfer Program is an option. This program allows students to combine community college and university credit together to earn an associate’s degree while pursing a bachelor’s degree at a North Carolina university. Interested in mapping out course equivalencies? Use the Student Transfer Navigator. This tool is designed to provide a course equivalence report for students who have taken or will take courses at any North Carolina postsecondary institution. The North Carolina State Education Assistance Authority (NCSEAA) is responsible for administering state financial aid and savings programs. However, it has developed a completely separate resource called the College Foundation of North Carolina (CFNC) to help students plan, apply and pay for college. This the website you’re going to want to visit. CFNC is stuffed with useful advice on affordable college savings plans, federal loans and North Carolina student grants & scholarships. You’ll find step-by-step guides to planning for college as well as all kinds of free videos & resources. Wondering which North Carolina colleges you can afford? Try the CFNC’s College Matching Assistant. Worried about your future after graduation? Experiment with the Career Assessments. Or you can simply log into your CFNC account to keep track of your work, submit applications and access financial aid information. One thing to be note—we’ve detailed scholarships & grants administered by NCSEAA, but CFNC also provides tons of links to other need-based awards and merit-based scholarships (e.g. Penn Family, Duke Energy Power Careers Program, SEANC Scholarship, NCACPA, etc.) offered by North Carolina businesses and non-profit organizations. So it’s worth spending some time going through their lists. If you’re thinking of attending UNC, be sure to check out the Jagannathan Scholarship, the Aubrey Lee Brooks Scholarship and the UNC Need-Based Grant. Summary: This is a need-based grant available to North Carolina residents attending North Carolina community colleges. The value of the grant varies according to information generated from your Pell Grant application. Award amounts usually range from $100-$1,500. Students who have earned baccalaureate (four year) college degrees are ineligible. How to Apply: File your FAFSA. You will be automatically considered for the grant if you meet the criteria. Summary: This need-based grant is only available to eligible students attending one of the 16 campuses of the University of North Carolina. Award amounts vary. For the 2015-16 academic year, funds ranged from $500-$4,200. Be enrolled in at least 6 credit hours at one of the 16 constituent institutions of The University of North Carolina. How to Apply: File your FAFSA and list at least one constituent institution of The University of North Carolina. You will be automatically considered for the grant if you meet the criteria. Summary: This need-based and merit based scholarship is available to graduating high school seniors from a 14-county area of North Carolina (see below) who plan to attend a full-time, degree-granting program at N.C. State University, UNC-Chapel Hill or UNC-Greensboro. In addition to financial need, the scholarship requires proof of merit, leadership, character and the desire of the recipient to prepare for a career as a useful and informed citizen. The award covers approximately one-half of the cost of an undergraduate education. The maximum award for the 2015-2016 academic year was $12,000. Brooks Scholars may receive additional funding for summer internships, research or travel abroad and a one-time computer stipend of $2,500. The scholarship is renewable, provided the recipient has continued financial need, remains enrolled full-time at an eligible institution and maintains a 2.75 cumulative GPA and good citizenship. 17 scholarships are awarded annually. Of the 17, one is always awarded to a student from the areas of Greensboro and High Point and another to a senior at the N.C. School of Science and Mathematics who is from an eligible county. How to Apply: Apply for—and be accepted—as an undergraduate student at one of the qualifying institutions. File your FAFSA and list at least one of the qualifying institutions. Complete the separate Brooks Scholarship Application (available through your CFNC account) and submit all required documents. Summary: The Golden Leaf is a need-based and merit-based scholarship given to current high school seniors and North Carolina community college transfer students. Recipients must be from certain rural counties who plan to attend participating North Carolina colleges and universities (the Golden Leaf website has lists of participating schools & qualifying counties). For high school seniors, the scholarship provides $3,000 a year for up to 4 years. For community college transfer students, the scholarship provides $3,000 a year for up to 3 years. Recipients of Golden LEAF Scholarships are also eligible to participate in the Golden LEAF Scholars Leadership Program. This provides leadership training at the Center for Creative Leadership and paid internship opportunities in rural NC communities. Students who participate in all four years of the program (freshman-senior) can earn up to $8,830 in stipends. Students who have already earned four-year (bachelor) degrees are ineligible. How to Apply: File your FAFSA and complete the separate Golden Leaf Scholars Program Application (available through your CFNC account). Summary: This is a need-based and merit-based scholarship available to North Carolina residents who wish to complete a full-time degree program at one of the constituent institutions of The University of North Carolina. The maximum award is variable (in 2016, it was $2,000), nonrenewable (it’s only available for one year/two semesters) and cannot exceed demonstrated financial need. The scholarship cannot be used for a second undergraduate degree or postgraduate/professional studies. How to Apply: You must be nominated for the scholarship by the Financial Aid Office of one of the constituent institutions of the University of North Carolina or by your high school counselor, so talk to them about nominations. You should also file your FAFSA and complete the separate Jagannathan Scholarship Application (available through your CFNC account). Summary: This scholarship is only available to aspiring college students who have been in the North Carolina foster care system. The scholarship helps fund tuition & costs for an undergraduate degree, diploma or certificate at a state community college or one of the 16 constituent institutions of the University of North Carolina system. Award amounts are based on what you receive in federal and state grants and scholarships—including the Pell Grant, the Education Training Voucher and the North Carolina ELS. This aid is applied first to the predetermined costs of attendance at a qualifying school; the NC Reach Scholarship will pay the remaining balance. Legitimate student loans that were incurred after July 31, 2007, for costs of attendance for qualifying students are also eligible for repayment through this program. How to Apply: Visit www.ncreach.org/apply/ and complete the application. Summary: This is a four-year scholarship for North Carolina foster youth and former foster youth who wish to complete a degree, certificate or other accredited program at a college, university technical or vocational school. It provides up to $5,000 per year for tuition, books or qualified living expenses. To remain eligible for funding, you must show progress toward completing that degree or certificate. Awarded students may reapply for funds up to the age of 23. Summary: Funded by proceeds from the state lottery, the ELS is a need-based scholarship available to North Carolina residents attending UNC campuses or NC Community College campuses. Your need will be determined by your FAFSA; award amounts vary. In 2015-2016, ELS scholarships ranged from $100-$3,000 per year. Students who have earned baccalaureate (four-year) college degrees are ineligible. How to Apply: File your FAFSA. You will be automatically considered for the scholarship if you meet the criteria. Summary: The NBS is a need-based scholarship available to North Carolina students who wish to attend private institutions of higher education located in North Carolina (the NBS website has a list of qualifying private schools). Your need will be determined by your FAFSA. Award amounts vary depending on your Expected Family Contribution (EFC). How to Apply: File your FAFSA and list at least one qualifying private North Carolina institution. You will automatically be considered for the scholarship once the FAFSA is complete. Summary: FELS provide financial assistance (i.e. loan forgiveness) to qualified students who are enrolled in an approved education program and committed to working in critical employment shortage professions in North Carolina (e.g. nursing, teaching, medical care, social work, counseling, etc.). The FELS website has a complete list of approved programs & eligible institutions. Loan/award amounts vary depending on your choice of program and number of credit hours. In general, a loan for one academic year will be forgiven for one year of full-time employment. Loans will accrue interest at the rate of 8% per year from the date of the loan disbursement. Recipients cannot receive FELS funding concurrently with other state-funded loans. You don’t have to be admitted to the program when you apply, but you must be admitted prior to receiving any funding. How to Apply: Complete the separate FELS Application (available through your CFNC account). Summary: The NCPFP is a merit-based loan forgiveness program for individuals who wish to enter school administration in a North Carolina public school. You must have exceptional academic ability, leadership skills and relevant experience to apply. Fellows have the opportunity to attend a Principal Fellows Program at a participating UNC institution and earn an MSA degree in two years (one year of full-time academic study and a one-year, full-time internship). Financial need is not a criterion for the program. To repay the scholarship loan, fellows are required to maintain employment as a principal or assistant principal in a public school in North Carolina for four years. Individuals who do not complete the program or service requirement must repay the debt in cash at an interest rate of 10%. How to Apply: Complete the separate NCPFP Application and fulfill all the application requirements (e.g. take the GRE/MAT). Summary: This four-year undergraduate scholarship is available to qualifying children (natural or adopted before age 15) of certain class categories of deceased, disabled, combat or POW/MIA veterans. You must be under age 25 at the time of application and agree to attend an approved school in North Carolina. The NC4Vets website has a list of approved schools. The scholarship is for 8 semesters; applicants have six years to complete all the semesters. How to Apply: Complete the NCDVA Application on the NC4Vets website. Summary: TAP provides tuition assistance for active members of the North Carolina Army or Air National Guard. If you qualify, you may receive up to $4,515.02 per academic year for tuition & fees. Awards are subject to the availability of funds. How to Apply: Complete the separate TAP Application (available through your CFNC account). Summary: This scholarship is available to eligible Vietnam veterans and their families. Annual awards range from $500-$1,500 and may be used for any year of undergraduate study. Scholarships are awarded for study at an accredited institution that offers degrees, licenses or certificates; some awards are reserved for study at junior colleges & trade schools and for senior students who participate in the Lessons of Vietnam War course. Money will be paid directly to the recipient for reimbursement of tuition, fees, housing or books. How to Apply: Visit www.ncvvi.org for an application form. Additional documentation (e.g. a copy of the Department of Defense Form DD214 to document Vietnam service) is required. Contact the North Carolina Department of Military & Veterans Affairs (DMVA) for more info on education benefits for veterans and active military (e.g GI Bill, REPS, IASG, etc.). Even the cheapest college degree can hit families hard. If you’re finding it difficult to pay for basic bills, the North Carolina Department of Health and Human Services (DHHS) is one place to turn. You may already know about programs such as food stamps and energy assistance (LIEAP), but DHHS also offers homeless/housing assistance, temporary assistance for needy families (TANF), child care assistance and more. The DHHS customer service hotline is 1-800-662-7030. Secondly, you can call 2-1-1 or visit the NC 211 website. 211 is a free, 24/7 service that connects North Carolina residents with social services and community organizations. Counselors at 211 can point the way to free food, clothing & housing, programs that offer affordable child care, low-cost clinics with free/affordable medical care and more. They can help with almost any challenge. Thirdly, you can talk to your local North Carolina Community Action Agency (NCCAA). Designed to assist low-income residents, NCCAAs provide programs & services like Head Start, food pantries, job training, youth development, etc. We’ve also listed county-specific organizations in our city profiles below. Generally speaking, on-campus housing is going to be more expensive than sharing a cheap apartment with others. However, this will depend on your school’s location, the availability of off-campus housing and a host of other factors. Some schools have taken steps to make halls and meal plans more affordable. Living in a dorm also means you’re not paying for commuting costs, rooms are typically furnished, utilities are included in the room rate and buildings are up-to-code. Remember, too, that you may have no choice. A lot of North Carolina colleges and universities—including UNC, UNCA and UNCW—require students coming from high school to live on campus for the first year. Visit the housing section on your school’s website for up-to-date information on rates and requirements. Because financial aid packages often ignore housing, some students are starting to live at home and attend community college to save money. If this isn’t an option, talk to your school’s residential life/housing coordinator or the Financial Aid Office about choices. You may be eligible for scholarships or work-study programs that will help pay for housing. For example, UNC’s Carolina Covenant guarantees that eligible low-income students can graduate from Carolina debt-free; it also has a variety of institutional scholarships that completely cover room and board. Off-campus housing isn’t just for juniors and seniors who want to escape the halls. Students attending North Carolina commuter schools, which have limited housing options, often end up at home or in apartments. Many UNCC and UNCG students live off-campus. If you’re torn between options, you can use the budget calculators on CalcXML.com and MappingYourFuture.org to compare on-campus costs (meal plans, dorm fees, etc.) with off-campus bills (groceries, utilities, renter’s insurance, etc.). Search early to find the most affordable choices! One place to start is the housing section of your college’s website. Most schools provide off-campus resources, links and tips. For example, the Community Involvement section on UNC-Chapel Hill’s Office of Fraternity & Sorority Life (OFSL) has detailed advice on leases and local listings; UNCC has partnered up with Off Campus Partners to provide a UNCC Off-Campus Housing website. But you have the right to look beyond. Along with Craigslist and other community listings, you might try searching for apartments near your North Carolina college on CampusRent.com. This is just one example—there are plenty of other websites (e.g. ApartmentGuide.com, MyApartmentMap.com, etc.) that allow you to target your school. When a crisis hits, the North Carolina section of HomelessShelterDirectory.org has a list of emergency shelters and transitional housing opportunities. Always check your rental agreement to see what utilities your landlord is willing to pay for and what you’ll have to cover. While you’re there, you should see if you will be responsible for any maintenance and/or repairs. You can also ask for a monthly estimate of utility bills or talk to former renters so you can get a sense of budget. Sharing with others? Make sure you have a written agreement in place so you don’t get stuck with late payments (and credit issues) on a bill in your name. Already renting or living at home? Is your family finding it hard to pay for utilities? You may be eligible for financial aid. The federally funded (but state administered) LIEAP program provides a one-time vendor payment to help eligible households pay their heating bills. Many North Carolina utility companies—including Duke Energy , PSNC Energy and Dominion North Carolina Power—also have programs for low-income customers. Check with the Salvation Army or your local Community Action Agency if you’re having difficulty finding help. Almost every North Carolina college/university has a student health center offering affordable healthcare services. This center is funded by student fees, so feel free to use it! Big university systems and rich colleges tend to have fancier services—for example, UNC-Chapel Hill’s Campus Health Services provides diabetes care, physical therapy and acute care—but you’ll find contraceptive advice, STD testing, immunizations, counseling and basic care at almost any institution. When your school can’t help, your community can. There are 300+ North Carolina free clinics and community health centers listed on FreeClinicDirectory.org and a similar number of free and low-cost clinics on NeedyMeds.org. You may also wish to try the clinic search on the homepage of the North Carolina Association of Free & Charitable Clinics (NCAFCC). Experiencing a mental health crisis? HopeLine has a free Crisis Line: 919-231-4525 or 877-235-4525 and the Mental Health Crisis/Suicide hotline is 1-800-273-8255. Locating cheap dental care usually takes a little more effort. Some North Carolina schools offer dentistry services on-campus (e.g. NCSU’s Campus Smiles), but many others do not. If that’s the case, see if you live near a dental school. Both the UNC School of Dentistry and the ECU School of Dental Medicine offer discount fees to patients who are willing to be treated by (supervised!) student dentists. ECU has 8-10 Community Service Learning Centers across North Carolina. FreeDentalCare.us also has a list of free and low-cost dental clinics in your North Carolina county. A healthy portion of North Carolina schools have daycare centers, but they are always popular. To have the best chance of snagging a place, apply as early as you can and ask the staff about subsidies. For example, UNC-Chapel Hill offers a limited number of child care scholarships for full-time students and employees. Attending a community college? Be sure to file your FAFSA! The North Carolina General Assembly gives funds to community colleges to assist certain students with child care expenses. If you demonstrate financial need on your FAFSA, you may be eligible for a Child Care Assistance Grant. Check with your school’s child care coordinator or daycare center to see if you need to fill out a separate Child Care Assistance application or fulfill any other requirements. Really worried about bills? Learn if you qualify for federal programs (e.g. Head Start), state Child Care Financial Assistance from the North Carolina Division of Child Development and Early Education (DCDEE) or local programs like the New Hanover County Child Care Subsidy. You can use the DCDEE’s Division of Child Development Search Site to search for child care facilities in your North Carolina area. The site allows you to filter results by subsidized child care and special requirements (e.g. Head Start, Transportation, Sick Child Care, etc.). We recommend a quick visit to the transportation/parking section of your school’s website. That’s because colleges provide oodles of information about transit discounts, free shuttle services, bike rentals, Zipcars and more. For instance, NCSU runs a Wolfline bus service, which is tailored to student class schedules. UNC-Chapel Hill has a Commuter Alternative Program (CAP), which rewards students who forgo driving. Even if you need a car, you may wish to participate in a rideshare program to cut your gas costs. It also pays to remember that local transport companies have college deals. For example, the popular GoPass program allows eligible students from a number of North Carolina colleges to ride city and regional buses for free. Major inter-city companies, including Amtrak and Greyhound, also offer discounted tickets/passes to college students. Even if you don’t qualify for food stamps, you have options. Many North Carolina colleges have opened campus food pantries in recent years, including schools throughout the UNC and North Carolina Community College system. Is your meal plan is too expensive? Ask if the Financial Aid Office if there is a way you can reduce costs or arrange for a subsidy. When all else fails, FoodPantries.org has a comprehensive directory of North Carolina food pantries in every county; HomelessShelterDirectory.org has a similar list of NC soup kitchens, pantries and food banks. New moms or moms-to-be might also want to see if they qualify for the North Carolina WIC Program. The overall cost of living in Charlotte hovers around the national average, but it’s creeping up as the city grows. The bus system is good, Intown is a relative bargain compared to Uptown and you’re never far from the ocean or the mountains. Long-time students complain about crime (think renter’s insurance), traffic snarls on the way to campus and the lack of entertainment options after hours. General info for residents can be found on the City of Charlotte website. Lots of organizations in Charlotte are designed to help residents achieve their dreams of an affordable education. Some of them offer generous scholarships; others provide training and career support to adult learners. We’ve listed a few below, but there are plenty more out there! The Urban League of Central Carolinas (ULCC) runs all sorts of skills training, career development, education and youth programs. Whether you need help with GED preparation, college readiness, technology instruction or job placement, ULCC can direct you to the right place. The YBM Leadership Alliance is a college preparation and leadership development program for young black men. The YBM Top Scholars Program, which highlights achievements of outstanding high school juniors, gives students the chance to compete for YBM scholarships and participate in college-focused workshops. The ANSWER Scholarship supports mothers in the Charlotte region who wish to earn college degrees and become self-supporting. Each scholarship recipient is paired with a volunteer mentor (Mentors for Mom) who offer support and guidance on managing work, family and college. Project One offers college scholarships to low-income students of single-parent families. Students must be from Mecklenburg County and attend a NC state-sponsored college/university. Recipients take part in a gifts and talent course, financial literacy training and a mentoring program. For help with a specific challenge, you can also search by category (e.g. education, food, etc.) in the directory of Charlotte, NC non-profits on CharityBlossom.org. Of the three North Carolina cities on our list, Raleigh is the most expensive, but only just. Though the overall cost of living is a smidge above the national average, transportation expenses are still below the norm. Unemployment is low, public transport is great and there are lots of affordable entertainment options. If you go to NCSU and want to work here after you graduate, you’ll be bang smack in the Research Triangle Region. In fact, the city often ends up on lists of best places to live in the U.S. General info for residents can be found on the City of Raleigh website. Raleigh can be tough on students with limited incomes. If you need any assistance—from intensive college preparation to just a bit of family support—some of these Wake County organizations may be able to lend a hand. The Assistance League of the Triangle is a volunteer organization dedicated to improving the lives of women, children and families in the Triangle area. As well as programs for Women in Need and low-income kids (e.g. free clothing & shoes), the Assistance League offers scholarships for high school seniors, single working parents and folks interested in healthcare professions. The Hispanic Family Center runs programs that provide family support (e.g. food assistance, tax preparation, etc. ), early intervention for children ages 0-5, adult education classes (e.g. ESL, GED, etc.) and immigration assistance. It can also refer visitors to other useful community resources. The Raleigh Promise partners with various Charlotte organizations to provide 3 main programs: Raleigh Future Scholars (for middle school students), Raleigh College Center (for Wake County youth) and Raleigh Fellows (for NCSU students who have graduated from Wake County high schools). Students participating in the College Center receive academic support, college application assistance, advising services and campus visits. Neighbor2Neighbor Outreach has programs that support student employment, college preparation, Latino residents and technology training. It’s located on South Blount Street in the South Park neighborhood. For help with a specific challenge, you can also search by category (e.g. education, food, etc.) in the directory of Raleigh, NC non-profits on CharityBlossom.org. When it comes to the overall cost of living, Greensboro is the most affordable North Carolina city on our list; the low cost of housing (i.e. cheaper rents) is particularly attractive. Along with a never-ending schedule of sports events, the Tournament Town has reasonable commutes, a lot of green spaces and a small-town feel. Spartans tend to head for Tate Street to sample cheap food and explore hippie stores. A car or bike is generally considered necessary. General info for residents can be found on the City of Greensboro website. Do you already live in Greensboro? A lot of Guilford County non-profits provide local scholarships and college preparation programs for hard-working students. And if they can’t help, they can usually refer you to someone who can. UNCG’s Center for New North Carolinians promotes access and integration for immigrants and refugees in North Carolina. Community Service Learning Centers at Ashton Woods, Glen Haven and Oakwood Forest provide employment assistance, ESOL, tutoring and health access. Say Yes to Education Guilford has generous scholarships for college or post-secondary training to students who graduate from the Guilford County Schools system (GCS). Recipients can attend a public college or university in North Carolina, or one of the 100 colleges and universities that are part of the national Say Yes to College Compact. The Black Child Development Institute of Greensboro, Inc. offers help with college preparation, runs after-school programs and provides free one-on-one academic assistance in several tutorial sites throughout Greensboro. The Greensboro Urban Ministry can assist low-income Greensboro residents with emergency food and shelter, housing and clothing. It runs a food bank and a thrift store. For help with a specific challenge, you can also search by category (e.g. education, food, etc.) in the directory of Greensboro, NC non-profits on CharityBlossom.org.